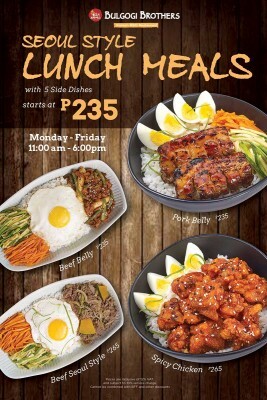 with 5 Side Dishes starts at P235. Prices are inclusive of 12% VAT and subject to 10% service charge. Cannot be combined with BFF and other discounts.